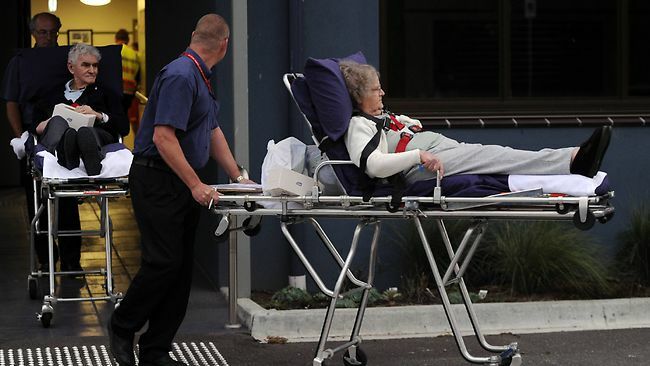 CAHA produced a Proposed Standard for minimizing the Health Risks of Climate Change in Healthcare in 2015, in response to an invitation from the Australian Commission on Safety and Quality in Healthcare, as part of the review of national health performance standards. The evidence is clear that climate change poses risks to the safety and quality of patient care. Thus climate change should be included in the risks that need integrated systems of governance as in Standard 1 of the National Safety and Quality Health Service Standards. Healthcare standards such as these are needed to ensure healthcare services are adequately prepared to ensure safety and quality of healthcare is not compromised as a result of climate change impacts, and that health services are taking positive steps to reduce their emissions to avoid contributing to the problem, and putting safety and quality even further at risk from increasingly dangerous climate change. See the Proposed Standard for Minimising the Health Risks of Climate Change in Healthcare, and a Background Paper: Climate Change is a Threat to Safety and Quality of Health Care. 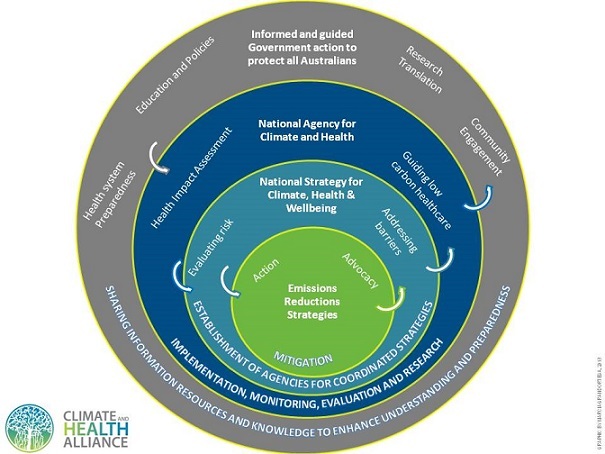 In the lead-up to the 2013 federal election, CAHA led a consultation with its member groups and developed the following position regarding a National Strategy for Climate, Health and Wellbeing. The nomination of or establishment of a national agency with responsibility for developing and coordinating policy and research consistent with the National Strategy for Climate, Health and Wellbeing was required. For more information, to download the complete CAHA 2013 Federal Election Platform, click here.